Is your content marketing solving customer problems? 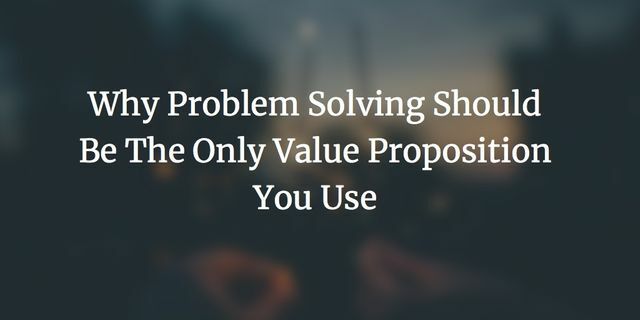 Understanding your ideal customers problems ensures that your marketing content will be meaningful and valuable to them - if you do not help someone solve a problem, then why would they come to you for a solution? One study found that 65% of businesses that exceeded their lead and revenue goals had updated their buyer personas with up to date problems and data within the previous six months. Start by revisiting your buyers personas, ask your existing customers questions and using tools such as answerthepublic.com or Google Keyword Planner to find popular queries online. What social media platforms do they like to engage with you on? What is their preferred type of content? What problem does everyone in your audience consistently try to overcome? When your personas are up to date - start creating your content plan from here. Find out more about the benefits of blogging for business here. Particularly on social media, content is the key to developing a relationship with consumers. Audiences are in constant need of new content that’s worth their time. And when you’re trying to solve problems with your content, there’s one approach that just about every small business can get behind: Educational content. It’s the cornerstone of most successful brand blogs, and that’s for good reasons. Sites like NerdWallet pride themselves on their ability to provide users with this kind of content. NerdWallet ranks for more than 1.3 million keywords in the personal finance advice industry.